This is a serious, sustained climb to the top of Mission Peak, near Fremont. Although the out and back trek is less than 6 miles, it's the kind of hike you brag about the next day at work (then again, for a taste of humility, you will likely see people hiking here on their daily constitution or run). Get to the peak before the weather is hot! Trails do get muddy during the rainy season (I once fell into a cow sinkhole on Horse Heaven Trail and nearly lost my boot) but views are generally best on clear winter days. My favorite time to visit is early spring; by June the grass is already dry and since there is little shade this becomes a hot hike. You can reduce the elevation challenge (but increase the total distance) by starting this hike at Ohlone College, where the elevation is more than 100 feet higher than at the at Stanford Avenue trailhead. Read about the parking options for Ohlone here, and consult the EBRPD map to alter the hike I describe in my book and webpage. 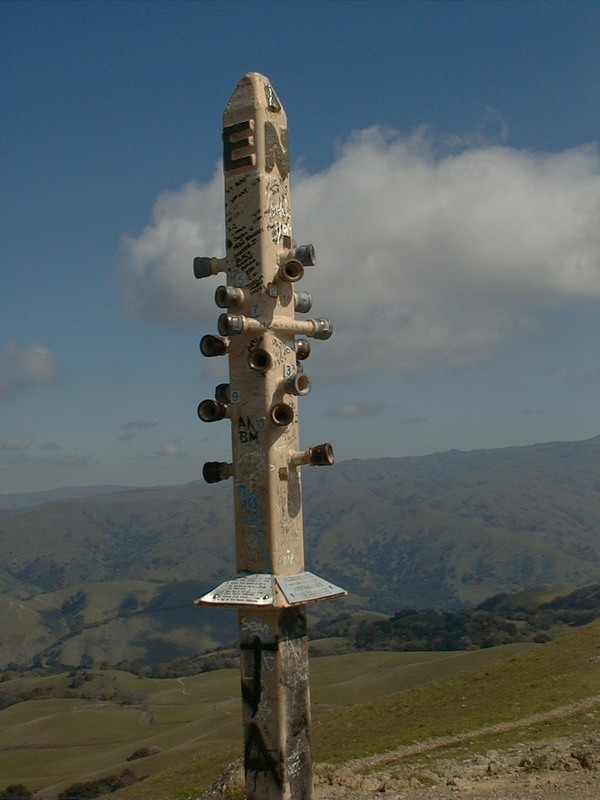 Mission Peak is hike number 27 in 60 Hikes in 60 Miles: San Francisco (third edition). Read about this hike on BAHiker. Sonoma County's Helen Putnam Regional Park is a small preserve on the outskirts of Petaluma. The trails here wind through lovely mixed woods and grassland. Hike this 3 mile gentle loop this month to enjoy spring wildflowers throughout.